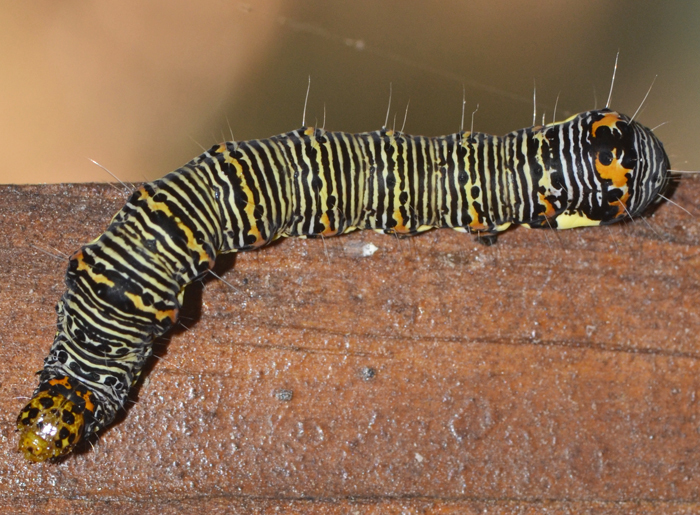 This pretty caterpillar belongs to either Alypia cotomaculata or A. wittfeldii. The latter species is restricted to Georgia and Central and South Florida, while the former is widespread through the eastern half of the US. The adults are black with white or yellowish patches on all wings. The larvae feed on plants including Virginia Creeper (the host varies according to species).